Microsoft released 12 different security bulletins yesterday, fixing 20 security holes in total. None of the patches affect the newly released Windows Vista . According to Microsoft, six were for "critical" bugs and another six for "important" bugs. February's bulletin included five Windows updates: two for Microsoft Office , one for Windows and Microsoft Office together, and one for Windows and Microsoft Visual Studio . The three remaining patches deal with vulnerabilities in programs not usually addressed in Microsoft's monthly security update. They fix Microsoft Step-by-Step Interactive Training, Microsoft Data Access Components, and Windows Live OneCare, Microsoft Antigen, Microsoft Windows Defender, Microsoft Forefront Security for Exchange Server, as well as Microsoft Forefront Security for SharePoint. 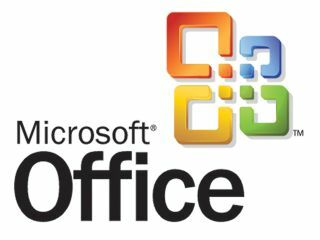 The security updates addressing vulnerabilities in Microsoft Office seem to be the most critical, following the numerous vulnerabilities that have been located and exploited recently. The three patches for the program fix many of the security holes currently being exploited. Microsoft therefore advises Windows users to download and install the security patches as soon as possible. However, Microsoft added that most of the patches included in its latest security bulletin are only potentially harmful if people with vulnerable PCs visit a malicious website or open an infected document.